Drivers can enjoy increased dynamics plus greater power and acceleration alongside the capabilities of the 94 Ah battery. 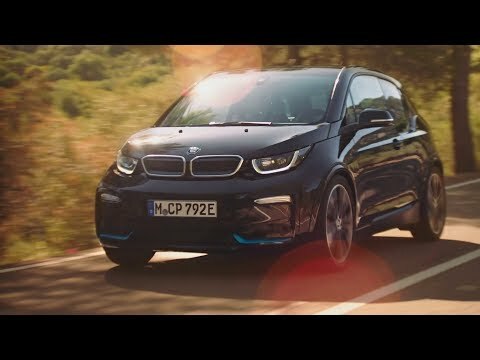 When compared to the new BMW i3 LCI, the BMW i3s provides an extra 20Nm of torque and can reach a speed of 62mph nearly half a second quicker. Additionally, the new SPORT driving mode provides a sporty throttle response. Personalise your new i3s with a range of options now including for the first time Apple CarPlay for seamless integration of Apple iPhones. There is also a choice of two new metallic paint colours, Melbourne Red and Imperial Blue both with Frozen Grey highlight and available on i3 and i3s models. Both the new i3 and i3s are optionally available with a choice of four Interior worlds and Lodge Interior world now features a new upholstery called Solaric Brown woolen cloth with naturally-tanned leather. For those of you who demand an even more dynamic i3 with enhanced performance and sporty design, we are delighted to confirm the new BMW i3s. This new model brings added performance, even more dynamic handling and an athletic exterior design to the BMW i3 range. Performance and handling is greatly enhanced with 0-62mph achieved in as little as 6.9 seconds (i3s BEV), sports suspension lowered by 10mm over the i3, i3s specific steering and an additional SPORT mode offering a more direct throttle response. The exterior design of the i3s accentuates the models dynamic performance with front and rear styling unique to the i3s and a 40mm wider track with high-gloss black wheel arch extensions. Standard 20-inch Bi-colour alloy wheels only available on the i3s, with optional Jet Black upgrade. Take the wheel of the outstanding BMW i3s and experience it for yourself. With over 100-years of refining, every BMW model has been crafted to deliver pure driving pleasure. There has never been a more exciting time to drive the open road.